‘Sister Wives’: Robyn Brown in Dire Need of a Kody Brown Rescue? 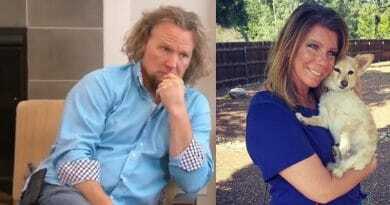 Sister Wives star Kody Brown might need to pull from his past skills and give his fourth wife Robyn Brown a hand. It appears Robyn has quite the professional setup at home, which she calls her studio. This is where she makes her jewelry. 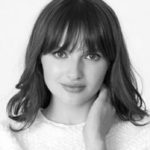 While her latest design sounds really cool from the way she describes the piece, it also sounds like there are a few problems. Sister Wives fans seemed to address those problems on her social post. Sister Wives: Robyn Brown Misses the Mark? It looks like the fans of the Sister Wives show might be confused about this necklace. They ask the questions that you’d expect to be listed with the product. Kody Brown’s wife may need to rethink her sales strategy. My Sisterwife’s Closet – Hard to Navigate? It looks like Robyn Brown is wearing the dog tag-like necklace around her neck in the photo above. But it’s not big enough to see any details. Furthermore, while she said she’s designed it for My Sisterwife’s Closet, the link she provides on that post doesn’t bring you to that product. It does, however, bring you to the Instagram site for her business. But you can’t see the new necklace from this Sister Wives craft store. If it’s on that page, then it’s not clearly marked. If you go to the Sister Wives online store site looking for the necklace, you can’t find it there either unless you search for “dog tag” and even then, you’re assaulted by a constant pop-open Valentine’s Day promo that you can’t navigate to shop. Christine Brown Saw the Light? It looks like at one time, Christine Brown might have had the same problem Robyn did. In one of her Sister Wives social posts, she writes “You can shop SO much easier now! !” That’s because she provided the direct link to her LuLaRoe sales page. 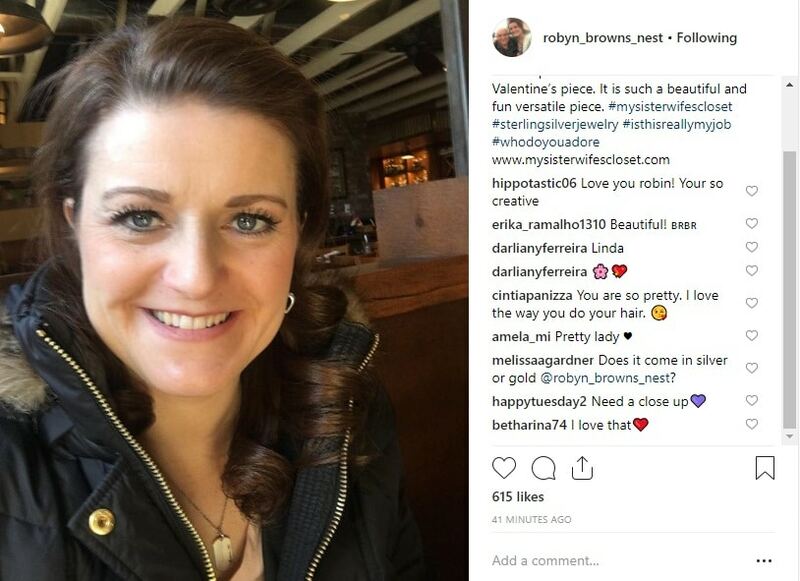 Robyn does have a few links on her post where she introduces the new piece of jewelry. Although, they don’t seem to lead to the necklace she’s plugging. So while she’s enticing sales with her post, she’s not making it easy for those sales to happen. 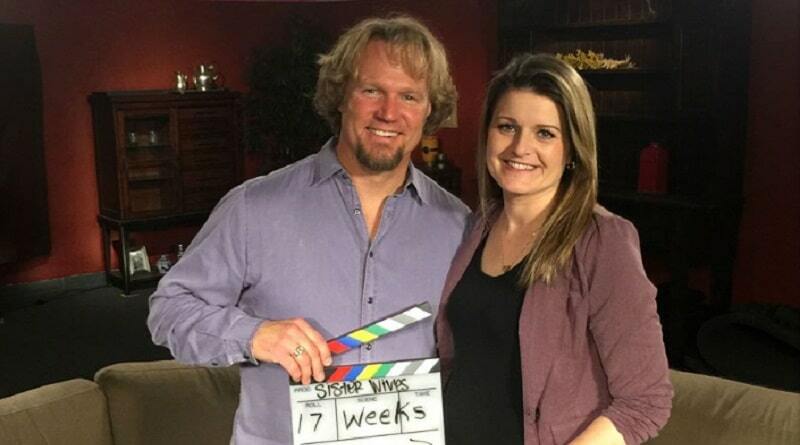 Through the many seasons of Sister Wives, Kody sat down for a ton of interviews. When the show was still new, Kody Brown would only say “sales” when asked about what type of work he does. As the seasons rolled on, he added “advertising” to that answer. Finally, at one point he claimed he was in sales having something to do with online advertising. Bingo – sure seems that Robyn Brown can use his past expertise! As you see in the post below – it appears the Brown patriarch is showing off those special skills. Cool New Necklace – A Mystery? Robyn Brown also talks up her new necklace creation on her Twitter account. 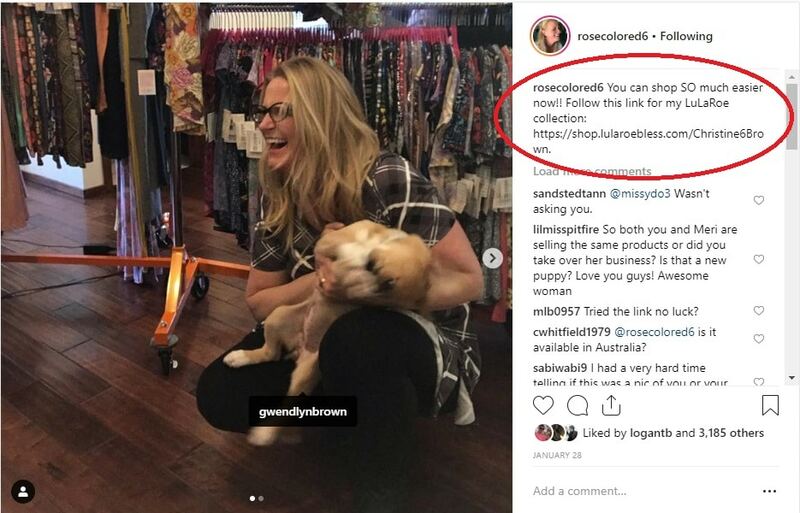 She gives a link to her My Sisterwife’s Closet Instagram page from that location as well. But when you follow the links, it’s like going on a hunt. As you can see by some of the comments, potential customers have questions. Probably because they can’t find the information on this new product from Robyn Brown. One person asked for a close-up photo of the Adore necklace. And yet another one wants to know if the item comes in gold and silver. What about the price? That information seems to be a mystery as well. The site for Sister Wives celeb Robyn Brown’s jewelry might earn more if people could find what they want to buy. 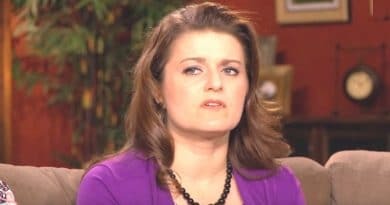 Robyn Brown Overlooking Sister Wives Family Asset? While this father of 18 never offered details as to his career history, it looks like he knows something about selling online. It seems like Kody Brown offered a hand to his other wives who sell LuLaRoe Clothing on social media. Recently he crossed dress in women’s leggings and top to highlight what LuLaRoe offered. His willingness to help the other Sister Wives on the show with their online clothing sales is obvious. So, with his reported career in online sales, husband Kody Brown seems to be an asset Robyn’s overlooking. Robyn Brown might be getting the word out on her social media accounts. But looking for the product and any details about the item is like navigating through that child’s game Where’s Waldo. It might be time for Robyn to bring in the big guns for sales – Kody Brown. Tune into TLC Sunday nights for the new season of this reality show. 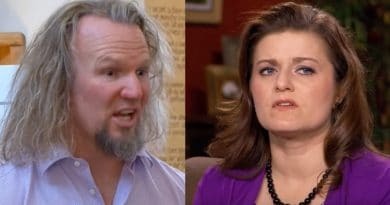 ‘Sister Wives’: Kody Brown Spins Excuse – Will Meri Fall For It?